Kannur University is regarded as one of the best universities in south India. University opened its gates to students on 2nd March 1996 and has been an important educational center since then. Kannur University lies in the district of Kannur, Kerala. It was founded with the vision to provide higher quality education even to the remote regions of the state. It has several campuses spread over the entire district making it easy for the students to study. It has an experienced staff and infrastructure is regularly updated to provide students best quality of education. It offers a wide range of undergraduate and master’s courses. It has been in operation since 1996 and considered to be a fine center of studies. Kerala has the highest literacy rate in the country and the education provided by the university reflects the state commitment towards the studies. Kannur University has launched SmartWeb initiative to provide the best education in the state. Under this initiative, students are taught by providing online teaching. School of distance education runs and takes care of this initiative. It is responsible for all the admissions and providing course material to the students. By accessing these online services, students can easily find the study material and information regarding their courses. The basic duration of all these courses is 3 years. The mode of teaching is English except for the language courses, in which they are taught in the respective language. 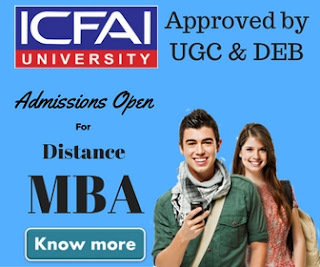 Pass in B.A English or functional English with CGPA 1.5 or CGPA 2.00 in part III. Pass in BA/B.Sc with SGPA 1.5 in part I English with three papers. Non grading: pass in B.A in English or functional English with a minimum of 45% marks in part III main or pass in B.A/ B.Sc degree with a minimum of 45% marks in part I English with three papers. Pass in B.Com/ BBA/BBM/BBS with CGPA 1.5 or CGPA 2.0 in part III. Non grading: pass in B.Com/BBA/BBM/BBS equivalent degree with not less than 45% marks in Part III. The basic duration of all these courses is 2 years. Similarly, the mode of teaching is English except language courses in which they are taught in the respective language. 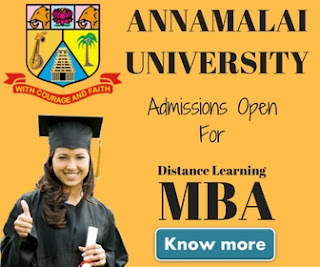 For enrolling in these distance courses, applicants have to apply through SmartWeb Website of Kannur University. Its link can be easily found on the official website of Kannur University. The process is to download the forms and submit them online after filling them out. There is no age restriction for applying and studying these courses. They can be studied by the students according to their convenience. Basic duration of undergraduate courses is 3 years and the minimum qualification is having passed high school (10+2). The prospectus and application forms can be easily downloaded from their website. After filling out the application forms they have to be submitted online with small application fees. Registration fees are generally 100 rupees. The master’s courses also have the same process. The application form has to be downloaded from the website and has to be filled out. After filling out, they have to be submitted online with small registration fees of ₹100. The course eligibility is a minimum graduate in the concerned field to which the applicant is applying.